A stroll on Lytham sea front yesterday but had to make it short as the wind and rain .came with a vengeance! I know this place well. 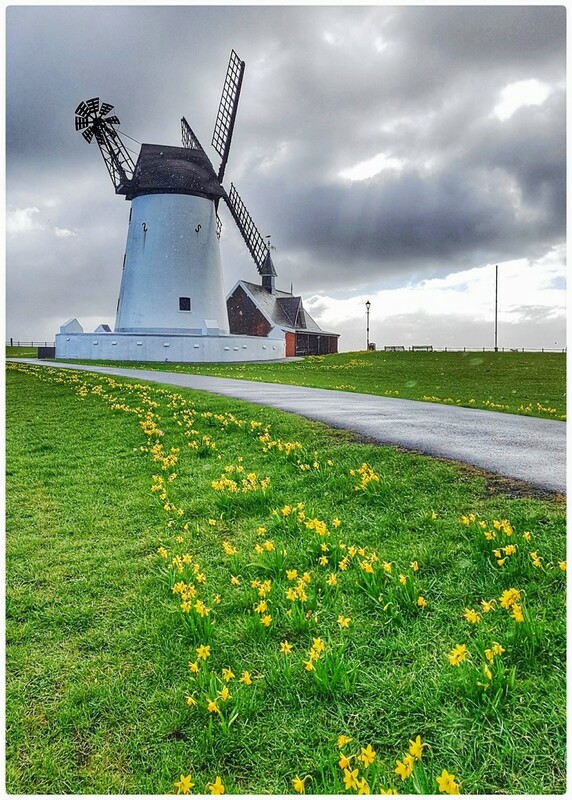 Great POV, the daffodils pointing the way to the windmill. Sounds like the same kind of weather as we encountered last week! Great shot. I love the composition on this photo. This is a very nice shot! Lovely image. V nice brooding skies. Lovely composition. We went to the garden centre yesterday & got drowned !! Oh I would love to live in a windmill. Beautiful view- love all those daffodils!